Moist. Swamps, streambanks. Full shade. 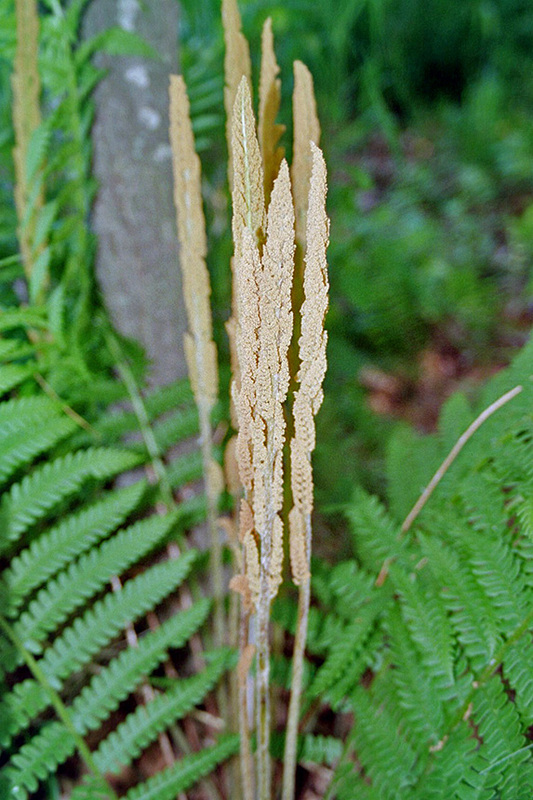 Cinnamon fern has conspicuously clumped sterile fronds up to 60″ long. In Minnesota they are unlikely to reach more than 36″ long at maturity. They are slightly tapered at the base. The lowest pinnae are more than half as long as the longest one. On the undersurface of the leaf there is a small area of woolly, cinnamon-colored hairs at the base of the pinnae. 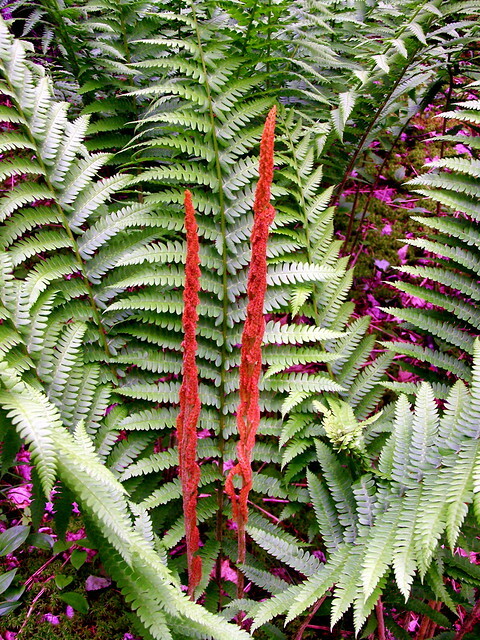 Fertile fronds are much shorter and rigidly erect. They are green when they emerge and turn cinnamon-colored when they mature. After spore dispersal they fall to the ground and become inconspicuous, making identification more difficult. Interrupted fern (Osmunda claytoniana) fertile fronds are silimar to sterile ones but taller, more erect, and with brown fertile fronds in the middle of the blade that fall off early in the season leaving a gap. The sterile pinnae do not have a tuft of hairs at the base. Authoritative sources disagree as to thecorrect spelling of the species name. GRIN38 and The Plant List36 spell it cinnamomeum. ITIS37 and most other sources spell it cinnamomea. Curiously, no source lists one spelling as a synonym of the other. The difference may be a result of gender change when the species was transferred from the genus Osmunda to the genus Osmundastrum. The suffix a denotes female gender and the suffix um denotes neutral gender. One of the primary divisions of a pinnatifid leaf. I'm Joey Williamson, and I'm a horticulturist with the Clemson Home & Garden Information Center. 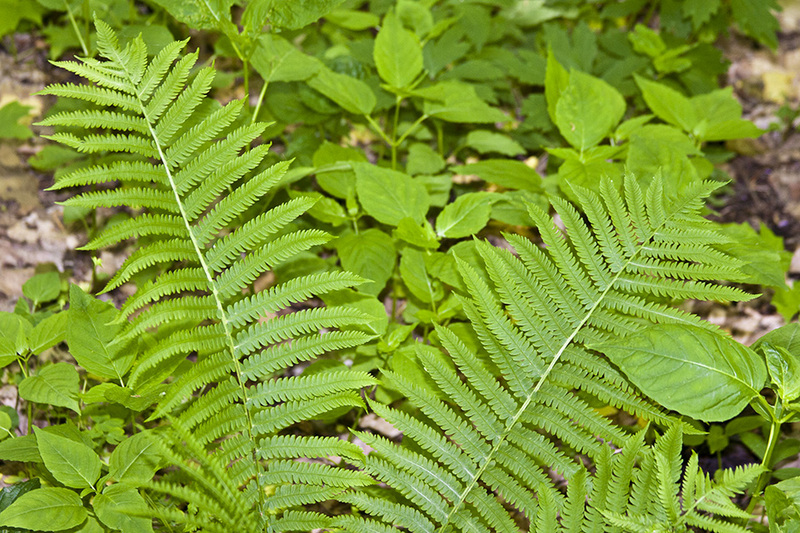 Today we will be looking at some woodland ferns that are easy to grow. There are many beautiful ferns that are popping up now, & some that are in full bloom. The first one I would like to show you is the cinnamon fern (Osmunda cinnamomea). 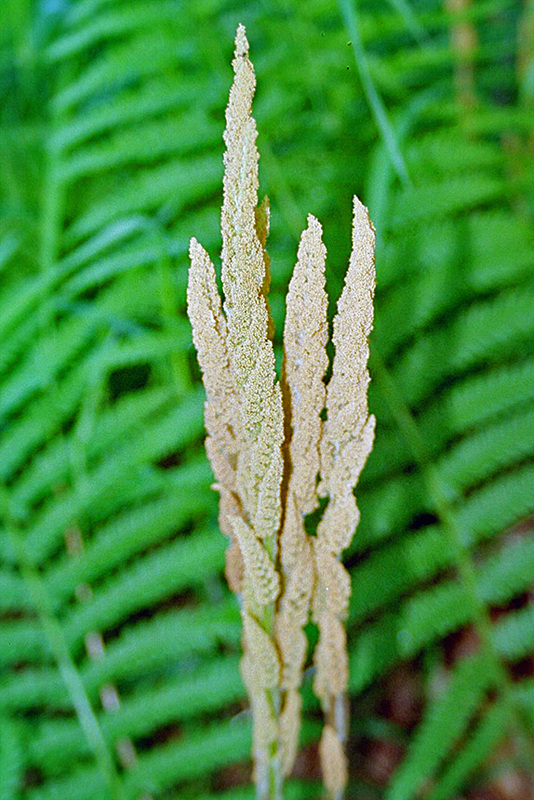 The cinnamon fern has these fertile fronds that come up bearing its spores, which is rather unique for a fern. Most ferns will make their spores (and they spread by spores, not seeds), with the spores in little packages on the backside of the leaves. But in this species of fern, they have sterile fronds and fertile fronds. 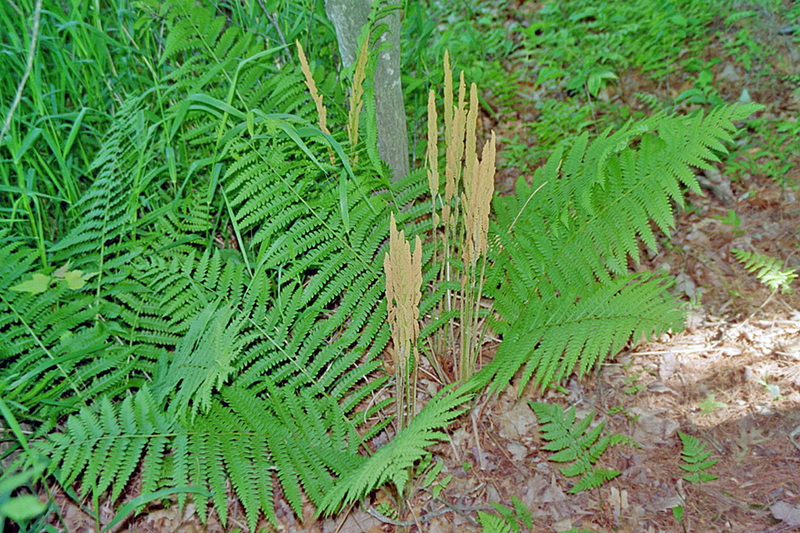 There are cinnamon colored hairs on these fertile fronds that give it the look of a big tall cinnamon stick. These ferns would like to have moist soils, and often they grow near stream banks, or bogs, or in a wet area near a lake. They can tolerate some sun if they are given adequate water. Usually they like rich, moist, well-drained soils, with adequate water to keep them growing and prevent the fronds from dying back. The cinnamon fern is a very handsome fern. It does lose its leaves with the first frost, so it is a deciduous fern. 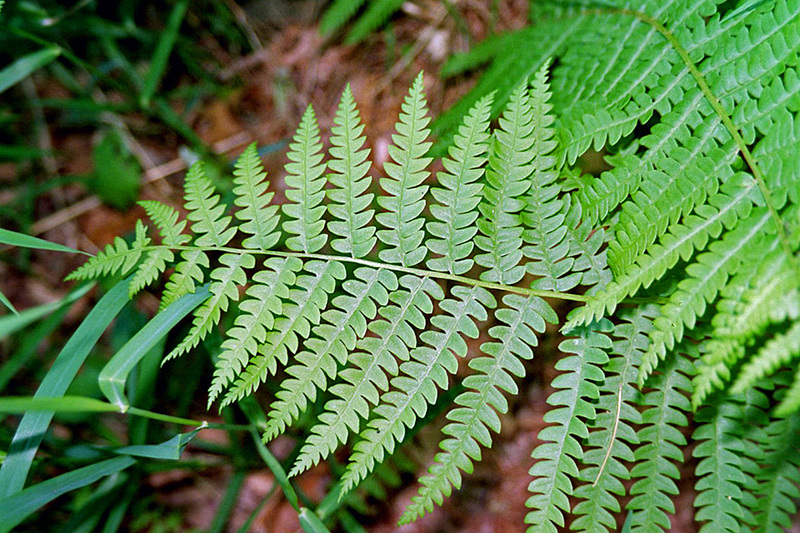 It is one of our bigger and better native ferns, and an excellent addition for your garden. The fern we are visiting now is the northern maidenhair fern (Adiantum pedatum). This is a delicate-leafed fern that does spread by underground stems called rhizomes. So by putting in a few plants, eventually they will cover many square feet as long as the soil is moist and well drained. The best way to plant this fern is to make sure you improve the soil in the bed using your own compost or composted pine bark to loosen up the heavy clay soils. The key to having good plant growth is by having healthy soil. The plants do need to stay moist during the summer, because if they become too dry, the little leaves will begin to burn and senesce and wont look as good toward the end of summer. This is a wonderful addition to the garden. It grows best in mostly shade to partial shade. Its a great plant. 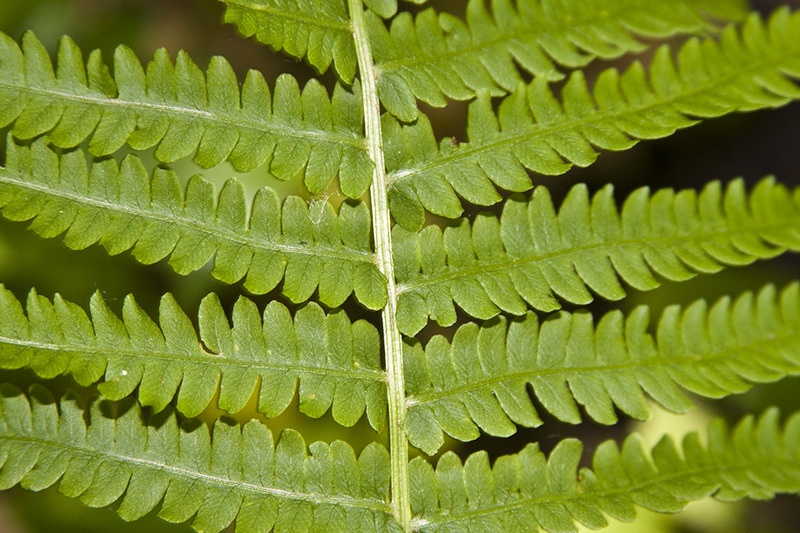 The last fern we will visit today is the autumn fern (Dryopteris erythosora). This fern starts out its growth as young fiddle heads that are very coppery-red colored and slowly expand. These come from a particular genus of plants that is indigenous to Asia, so they are not natives here. This fern comes from a very tough and adaptable genus of plants, and these ferns are some of the most drought tolerant plants I have ever seen. Lets move on to see some that are a little more advanced. On this autumn fern the fronds have become taller, and they have almost totally unfurled. We can still see much of the coppery-red color on the foliage, and this combines extremely well with many of the green companion plants that can be planted around it. Here we have a more fully mature plant showing its splendor and height. These are absolutely gorgeous plants, and as I said they are very drought tolerant. You do want to really improve the soil when you plant ferns. Make it a rich soil. Use your own compost. If you dont have a compost pile, buy composted pine bark to mix with the soil. Keep them well watered until they are established, and they should do absolutely wonderful in your yard. For more information on gardening, landscaping, insect and disease problems on your plants, visit the Home & Garden Information Center web site at www.clemson.edu/hgic.